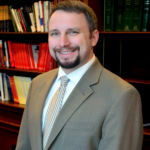 DEREK M. COHEN is Director of Right on Crime and the Center for Effective Justice at the Texas Public Policy Foundation. Cohen graduated with a B.S. in Criminal Justice from Bowling Green State University. He went on to complete an M.S. degree in Criminal Justice from the University of Cincinnati, where he also recently completed his Ph.D. dissertation on the long-term costs and outcomes associated with correctional programming. His academic work can be found in Policing: An International Journal of Police Strategies & Management and the forthcoming Encyclopedia of Theoretical Criminology and The Oxford Handbook on Police and Policing, and has scholarly articles currently under review. He has presented several papers to the American Society of Criminology, the Academy of Criminal Justice Sciences, and the American Evaluation Association on the implementation and outcomes of various criminal justice policy issues. Prior to joining the Foundation, Cohen was a research associate with University of Cincinnati’s Institute of Crime Science. He also taught classes in statistics, research methods, criminal procedure, and corrections.